Tokyo Rebel: Victorian maiden "British Marine" series up for reserve! Victorian maiden "British Marine" series up for reserve! Victorian maiden's newest series, the British Marine series, is up for reserve! 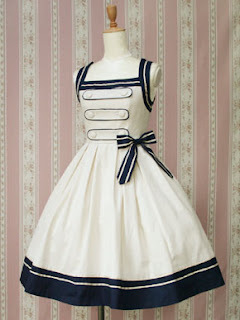 Included in this series are several dress options, a bustle skirt, and accessories to complete the nautical look. Main items all carry promotional pricing during the reserve period. As always please read and be aware of our reservation policy when placing an order with us.